"Welcome to Freddy Fazbear's Pizza!" Keep your favorite, creepy, animatronic creatures around even after you shut off the game! 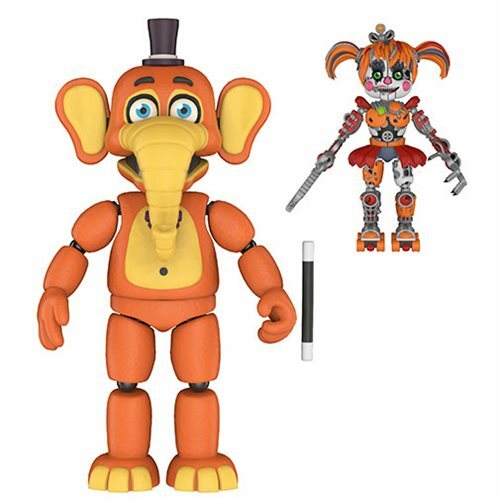 This Five Nights at Freddy's: Pizza Simulator Orville Elephant 5-Inch Action Figure includes character specific accessories and build-a-figure a piece to build your own Scrap Baby! Measures approximately 5-inches tall and comes packaged in blister-card packaging.